What is the Brighter Futures program? 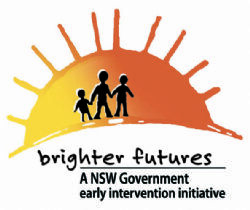 Brighter Futures is a program based on supporting families in creating and maintaining positive and nurturing environments for children in the early years of their lives. Participation in Brighter Futures is voluntary. The program provides targeted early intervention services to families with children aged under 9 years, or who are expecting a child, where the children are at high risk of entering or escalating within the statutory child protection system. It is a strengths based program with flexibility to ensure unique family and individual needs can be met. Parenting is hard work and at times families may be confronted with additional challenges that impact on their capacity to parent. Brighter Futures provides extra help and support during these difficult times. The aim of the program is to work with families helping them to build on their strengths and reduce the likelihood of their problems escalating. There can be significant and ongoing benefits for parents and children who participate in the program. Families can be on the program for up to 2 years. Is my family eligible for Brighter Futures? What will my family receive from the Brighter Futures program? Parenting Programs – group settings or one on one in your home. How do I become involved in the Brighter Futures program? Pregnant younger women or young parents leaving Out of Home Care. What if I start on the program then want to leave? Participation is voluntary – you can leave the program at any time. If you move out of the Bega Valley Shire we can transfer you to another Brighter Futures program in NSW.